Most of the bloggers in kenya do have a fulltime product they are selling and do blogging to talk to the world when they have time. I’ve compiled a small list of technology bloggers worth your time. I wont include myself in this list as i can well see you are following me, congratulations for that, i wont say am great, you may. One thing is almost common among these bloggers, is most of them are young proffesionals who stop at nothing to come up with a good product in their areas of specialization and are what i would call Techpreneurs. 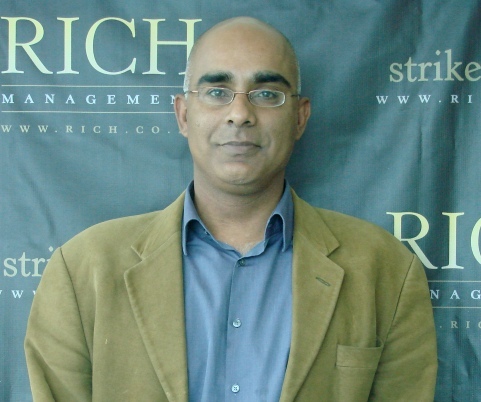 Aly-Khan Satchu is an investment banker and the proprietor of the intuitive website www.rich.co.ke – an open resource for tracking live prices on the Nairobi Stock Exchange. He is the author of the book ‘Anyone Can Be Rich’ a useful guide to investing in the Kenyan markets. He features regularly on CNBC Africa analysing the markets, Al-Jazeera and has a daily column in the Kenyan newspaper Nairobi Star. As a techpreneur Aly-Khan is also a prolific tweeter on the markets in general and geopolitics which he follows continuously. Follow him on twitter @alykhansatchu. Robert Alai is the Editor of Techmtaa, an internet evangelist, ICT Vision 2012 convenor, a world changer and staunch supporter of red shirts and overthrow of dictators anywhere. Robert has been writing-for and moderating blogs, forums and chat rooms since 2005. Other experience includes Logistics Management in humanitarian field, deploying Windows and Linux networks and installation of VSAT and Free-to-Air TV. Additionally, Robert is specifically trained in System Analysis and Design and is currently pursuing Software Engineering in one of the local universities. Robert’s passion is Kenya. He believes that Kenyans should get a priority everywhere and any other nationality comes. Follow him @robertalai. Kachwanya is a soft spoken geek who does more than he speaks. He has been blogging for the last two years, mostly about internet connections in Kenya, mobile phones, e commerce, social media and social networks like Iborian.com which he co-founded. He is among the three guys who started Maduqa , an e-commerce website, and basically runs the operations of Maduqa Limited. Kachwanya also runs Finweb Solutions Limited,a software development company. Marvin Tumbo is the C.E.O of Socialight Media Kenya, the premier social media solutions provider in the country. He consistently writes on the state of social media in Kenya at his Socialight Media Kenya blog. He studied Sociology and Economics at Egerton University and it is the in-depth comprehension of the two in addition to appreciation of technology that make him uniquely placed as a thought leader on social media in Kenya. In his university days, he was the Vice President of AIESEC in Egerton where his management and leadership experiences were nurtured and prepared him for entrepreneurship and business leadership. Socialight Media is Kenya is the go-to company for social media solutions in this age of New Media where they help businesses leverage social media for their respective business objectives. Marvin Tumbo can be found at @Marvintumbo. Moses is the Co-founder and Managing Director, Dotsavvy – Nairobi, Kenya, a leading digital agency based in Nairobi, Kenya. He is involved in management leadership and business development. Moses has been involved growing Dotsavvy from a two person outfit to a seventeen person agency with over 100 clients throughout East Africa. Some of their key accounts include Old Mutual Kenya, Tanga Cement, The Co-operative Bank of Kenya, NIC Bank, CFC Life and many others. Before Dot Savvy, Moses has worked for 3mice Interactive media as Business Development Manager, Africaonline as Major Account Manager, Sales and marketing Manager-Kenyaweb, Mombasa. Mr Kemibaro blogs at moseskemibaro and you may follow him @moseskemibaro. Ladies, dont feel left out, you are also represented in this field.Rebecca is a technology journalist and blogger based in Nairobi,and has worked in print and online media based in Kenya and abroad. Wanjiku’s interest in technology started in 2003 when she attended training on Information Society at Rhodes University in South Africa. She also covered the World Summit on Information Society (WSIS) heads of state meeting and its preparatory meetings in Geneva.From then, it became clear to her that technology had a major role to play in Africa’s development and she wanted to be part of the change. So, she shifted from writing from the courts to technology. This helps her grounding as a writer because she understands defamation very well. But it is the coverage of the Internet Corporation for Assigned Names and Numbers (ICANN) that has given her immense insight to some of the technology challenges that Africa faces. From apathy, slow decision making processes to lack of understanding on some of the technology issues. If i may have left out any other, no pun, these are the main ones i follow and you may know other more inspirational bloggers, kindly propose them in the comments section for us to follow. Robert Alai? You cannot possibly be seroious. Why would i willingly follow a spammer. I get more than enough Mlalahoi / BidiiAfrika without my consent without going out of my way to follow the spammer hisself! @Anon, Robert was the guy who introduced me to blogging and the internet space, i mean technologically, when i was still green and in college, two years ago. Just when i joined facebook, he used to organize those “The Hood” networking meetings, and thats where i started getting my direction, you dont learn this in school, credits to Robert. Now about spamming, i dont know, but there’s ways to avoid that….am not trying to support him, but what i would say is that he is ahead of me in technology savviness, and am still learning. There’s no way you can put Robert with this other guys; he is a spammer and a rude one at that; I speak from personal experience. His Biddii mass mailing spam system was always being shut down by Google/Gmail and he would resuscitate it again. Kudos for the rest of them. If there was one of these techpreneurs who has demystified his area of operation its @alykhansatchu. Investment Banking was thought to be an area for the wealthy. Clearly, with technology leveling the ground, anyone can become a player. Very inspirtational,considering the age and self drive shown by all. What wrong with kenyan web dev companies that don’t have working websites???? @dotsavvy!! The site is not there! Robert Alai? Hell no. Kenya’s No. 1 spammer. Please get him off the list. Let me work hard to get on that list..
Guys, you look like you have personal problems with Robert. None of you is giving any convincing argument. Robert this Robert that. I think that you all cant say that Bidii was bad. We got some nice tips, experience and whatever from it and this guy can be said to have brought many Kenyans to the internet. What about @whiteafrican? He’s great. What about @whiteafrican? He’s great! Over my dead body will I follow an uncouth spammer like Robert Alai. Siener above is clearly Alai. I’d recognize that foul tongue anywhere. Ask anyone of note about Alai. Michael Joseph. Bitange Ndemo. Kahenya. Alex Gakuru. Joe Mucheru. All thes people cannot be wrong. In fact you should take him down from this list and add someone more credible like WhiteAfrican or Afromusing. You’re doing little for your own credibility by listing Alai as your hero! Sorry, did you say young? I agree with Anon. That guy is rude and disrespectful always trying to get attention by calling people names. Its like he’s BITTER all the time. Apart from that, its a fairly good list though, but do more research. Great writing! Maybe you could do a follow up on this topic!? Awesome web site, I had not come across https://techweez.com earlier in my searches! I’m pleased that you wrote this?? I have been back here 3 times now and am absolutely loving the energy on this discussion. Thanks for a fantastic outlet to read top quality data. why am i not featuring? He he he just kidding.